Tommy John Surgery. Is your child next? 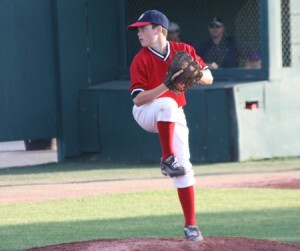 Baudry Therapy Center | BRIONewsBaseballPitching and Tommy John Surgery. Is Your Child Next? Pitching and Tommy John Surgery. Is Your Child Next? From 1996 to ’99, Dr. Andrews performed Tommy John surgery on 164 pitchers, 19 of whom were high school aged or younger. From 2004 to ’07, those numbers had increased to 588 total pitchers and 146 high school or youth league players — a sevenfold increase. The recent 18 inning battle between Jesuit and Rummel in baseball has gotten a lot of national attention lately, and not just because of how good the game was. Each starting pitcher threw over 150 pitches. And as a result the question of pitch count has come up again. How many pitches are too many? These stats should be alarming, especially if your child is playing travel ball or on multiple baseball teams. Throwers are limited by their throwing mechanics, their strength, their stability, and their physical maturity. Too much throwing can certainly leave a player at risk for permanent damage. But like any learned activity pitching improves with practice. And more repetitions can help the athlete to become proficient. Unfortunately with repetition comes the risk of overuse injuries. And so for athletes there is always a balance between doing enough to master their craft, and doing too much causing injury and damage. For us in the injury prevention and rehabilitation, the question is how can we help protect athletes and make them more suited for their athletic activity. One clear step is to develop more educated parents and players. A physical evaluation: Strength, flexibility, muscle balance, and coordination are all keys for good pitching mechanics. A physical therapist, an orthopedist, or an athletic trainer with experience in sports medicine would be a great start to identify potential weaknesses. Technical training: Good throwing mechanics are essential. Have a specific throwing/pitching evaluation from a knowledgeable coach. Someone who has experience at least at the college level is recommended. But do your home work and select your coach wisely. Regular monitoring– injury checks: Have your child’s arm assessed regularly throughout the season. More often as soreness and the season goes on. A physical therapist, orthopedist, or athletic trainer who is active with sports medicine and rehabilitation can be very helpful in determining how much your child should be throwing. Stay engaged: Bottom line is that as a parent you need to be engaged and pay attention. Children want to perform, they want to please, and they want to perform well. Sometimes to their own detriment. You know your child better than anyone else. Don’t be afraid to step in and get help. For a FREE consult, more information on throwing, injures and specific training, call or stop by our office, like us on Facebook, or follow us on Twitter.